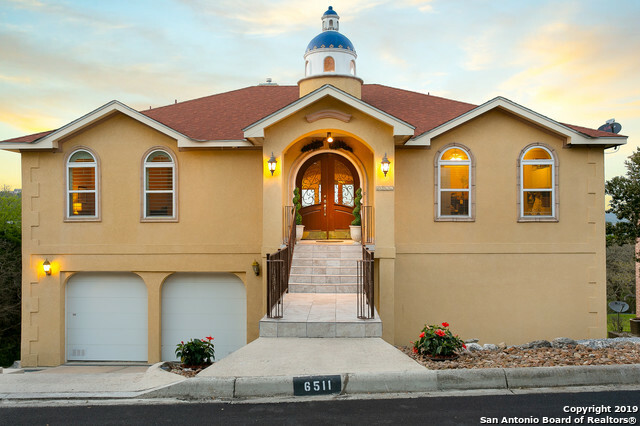 All LEGEND POINT homes currently listed for sale in San Antonio as of 04/24/2019 are shown below. You can change the search criteria at any time by pressing the 'Change Search' button below. "Spectacular view overlooking Crownridge area. Two level home: lower level can be independent living quarters. Huge garage 34x22 with 10 ceiling. Very special cool stone architectural touches, beautiful Spanish cupola, central vac system, spacious 2 level decks, almost all ceramic tile stained concrete flooring, no lawn care necessary, security system with outside cameras, 2 sided fire place. Minimal traffic street."